Does connecting Soul to Soul interest you? Animal or Human? Everyone can do it…..there is however ONE thing you must do first. Today’s quantum conversation unpacks what makes our lives so complex AND which steps to take to move from our egoic self into the soul speak. 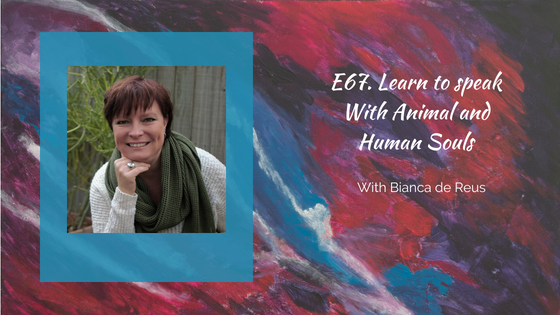 Today we share the exact process that you can use to connect soul to soul with humans and animals. You’re with Michelle Reinhardt – Creator of this amazing show – the EGU Podcast for awakening and emerging souls discussing Mindset, Business, Energy and All things spiritual. I’m the creator of Self and Soul Mastery for Abundance seekers and the Online community hub Entrepreneurs globally unite. What is connection to S.E.L.F.? And so much more including…. Bianca’s Website Visit Website Now Best way to find Bianca connect@biancadereus.com or do you mean Facebook.com/biancadereus Instagram.com/bianca.dereus LinkedIn.com/in/biancadereus twitter.com/biancadereus? Thanks for joining us today, be sure to subscribe below so y ou don’t miss an episode as we strive to help you Thrive! And until next week…..Shine Bright Superstars! That’s why you’re here!